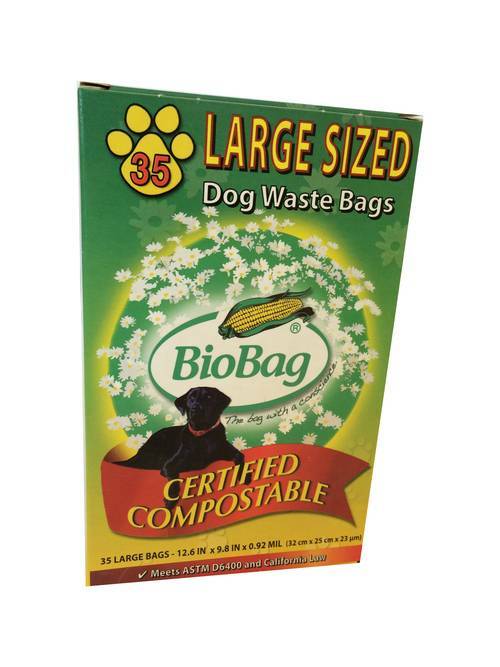 BioBag is a world leader in providing bags and films for the collection of organic waste for the purpose of composting. Unlike regular plastic, BioBags are made from a resin derived from plant starches, vegetable oils & compostable polymers and can be consumed by micro-organisms that live in our soils. Because of this, Biobags can also be readily composted along with organic waste in municipal composting facilities. All of Biobag's products contain GMO free starch, biodegradable polymer and other renewable resources. No polyethylene is used in the production process. All BioBag products are certified by the Biodegradable Products Institute(BPI).